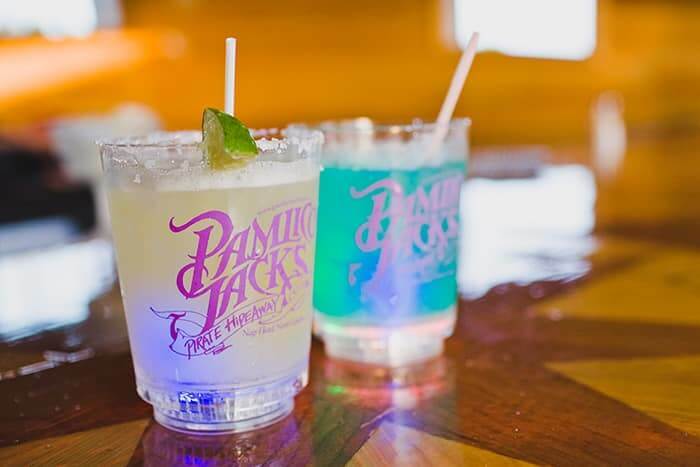 Pamlico Jack’s – Nags Head, NC: Natural beauty, local lore and delicious island cuisine all come together at Pamlico Jack’s Soundfront Restaurant & Bar, where guests will be immersed in Old World elegance. 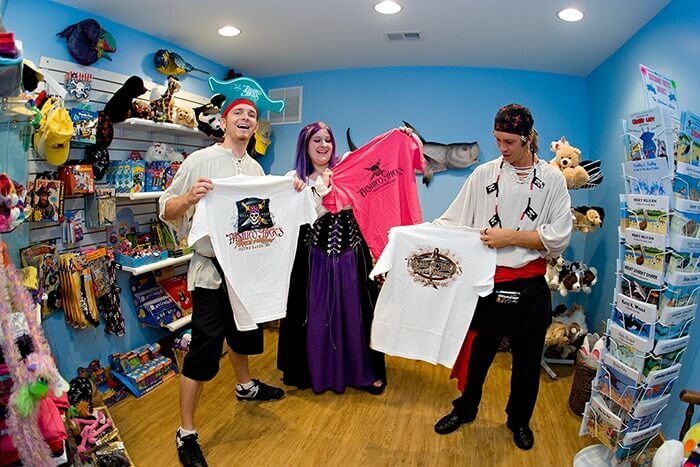 Located along the beautiful Roanoke Sound, you’ll love being treated to a delightfully fun pirate-themed experience at this Nags Head restaurant featuring an authentically replicated pirate ship, complete with sails and rigging, that serves perfectly as a bar. 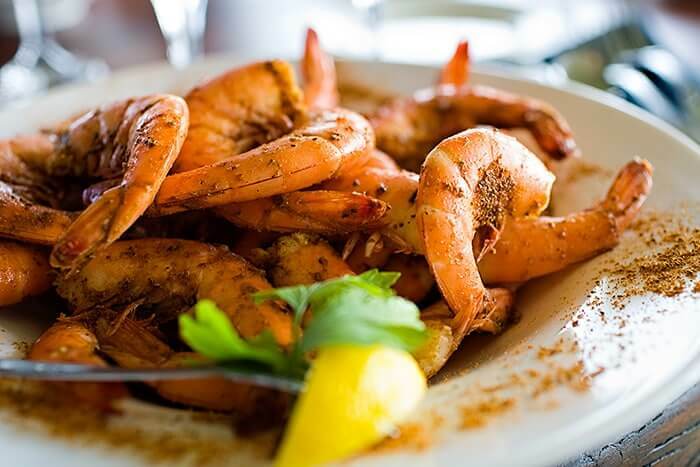 Pamlico Jack’s menu features fresh Gulf Stream seafood, certified Angus beef, tasty homemade pasta selections, and delectably decadent desserts. For those looking for a lighter fare, there are also delicious burgers, sandwiches, soups, and salads to choose from, along with a variety of appetizers and a great kids menu. Guests can enjoy the view from the open-air sound front deck overlooking the sound while enjoying dinner and a glass of wine, or choosing from a wide selection of beers and microbrews or custom cocktails. Pamlico Jack’s has had the honor of receiving the Wine Spectator Award of Excellence for more than 20 years, so you’ll have no problem selecting your favorite vintage from an extensive wine list. 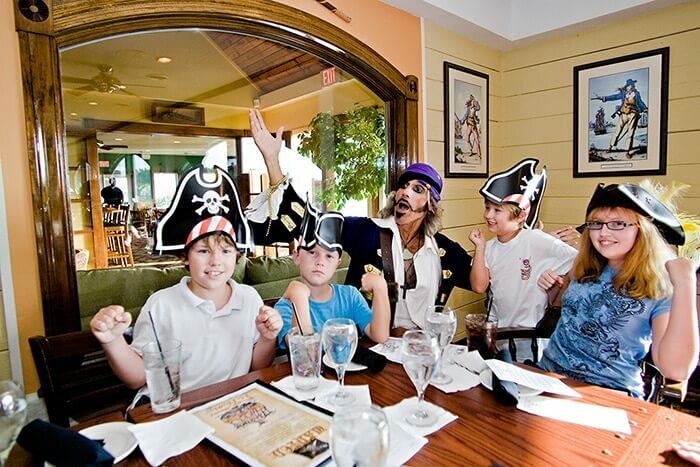 During the season, guests can also kick back and enjoy live entertainment to go along with spectacular sunset views and favorite cocktails such as Walk the Plank and the frozen Mariners’ Mango Pain Killer. Pamlico Jack’s is also the perfect spot for rehearsal dinners and weddings, as well as every type of occasion, event or meeting. This sound front restaurant is happy to accommodate groups that range from small and intimate to those ranging in the hundreds. 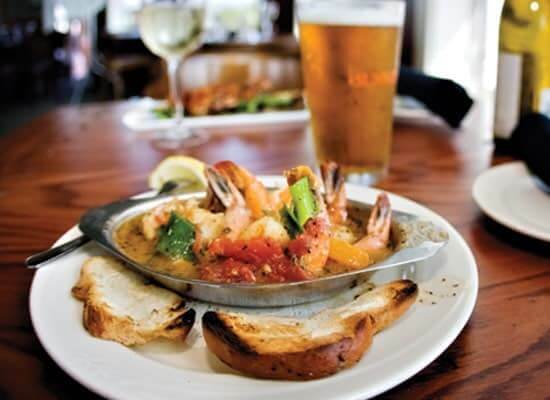 At Pamlico Jack’s, Old World elegance and Outer Banks lore styled for discerning tastes are what makes this restaurant a favorite among locals and visitors alike. Nags Head Restaurant on the Water – Pamlico Jacks.